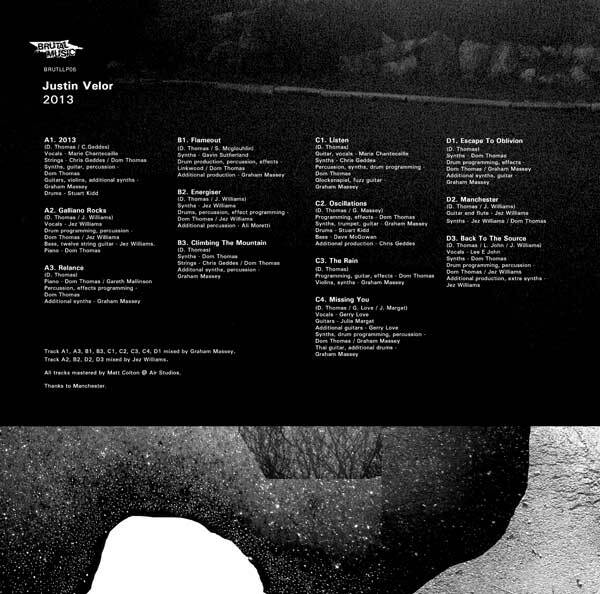 Advanced Preview Edition (2xLP): 10th December 2012. Regular Release (LP/CD): 18th February 2013. Bass, twelve string guitar - Jez Williams. 2013 / Relance / Flameout / Climbing The Mountain / Listen / Oscillations / The Rain / Missing You / Escape To Oblivion mixed by Graham Massey. 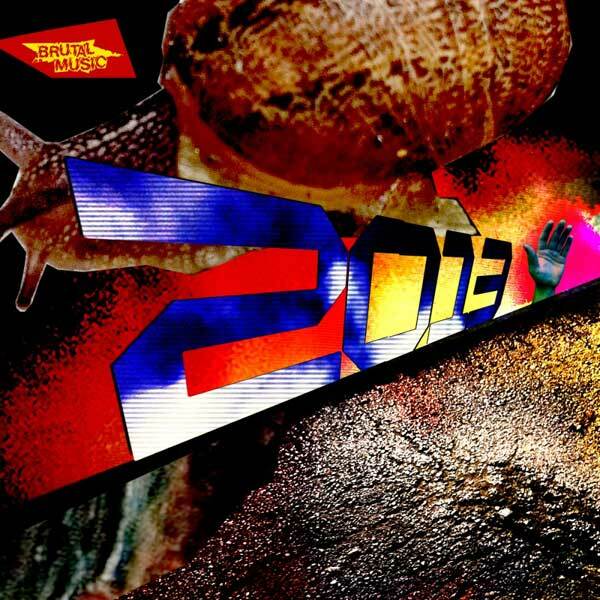 Galliano Rocks / Energiser / Manchester / Back To The Source mixed by Jez Williams. All tracks mastered by Matt Colton @ Air Studios. Thanks to Manchester. 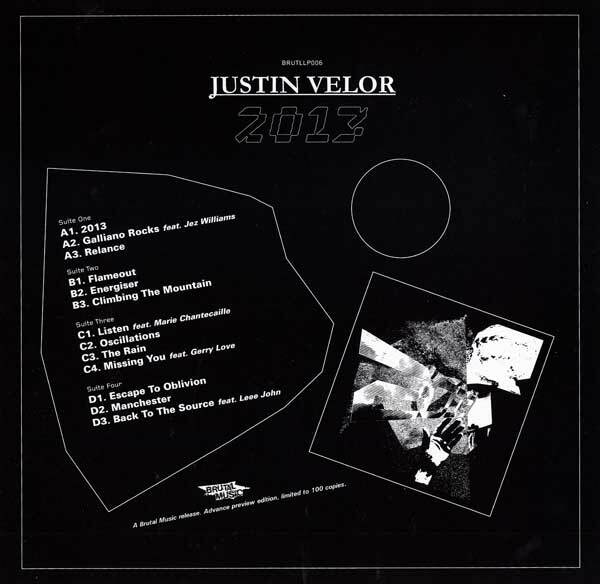 2013 is the debut album from Justin Velor, a vibrant Technicolor collision of styles ("you might call it a musical Dr. Frankenstein," he says) incorporating everything from Vangelis-inspired synth drones and nocturnal acid house rhythms to tender folk melodies and psychedelic flourishes, all delivered with a post-punk sneer. 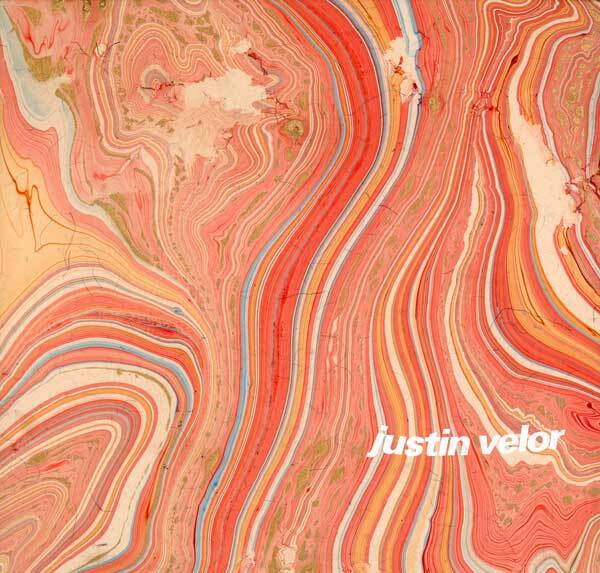 "I wanted to make a fantastical soundscape with colourful dynamics and a soul," he explains. 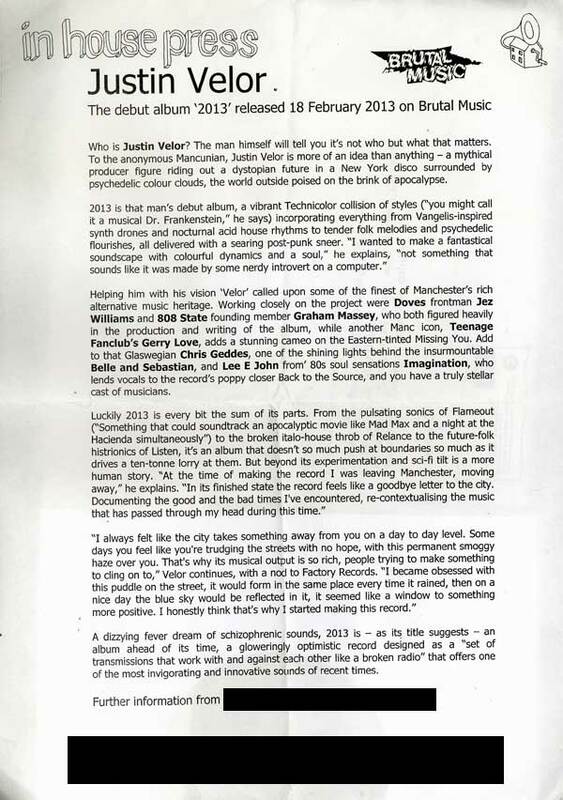 Radio play comes from XFM & 6 Music plus featured tracks on XLR8R & Dummy. 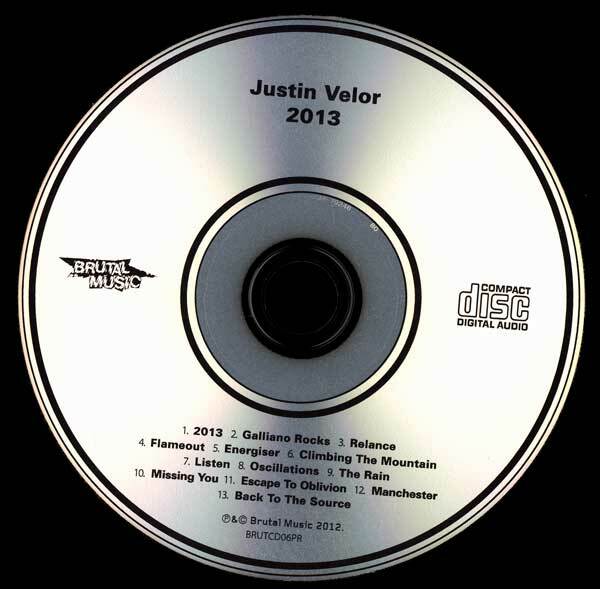 Special limited edition release of Justin Velors forthcoming album, "2013' on Brutal Music. 100 copies. Double hand stamped vinyl. Screen printed marbled thai paper box sleeve. Black heavy paper inner with silver screen print.